Melissa guides business-critical transactions for corporate clients nationwide in various sectors, including healthcare, hospitality, professional service, telecommunications and financial. In her corporate real estate practice, she counsels public and private companies on their real estate holdings. Additionally, Melissa brings significant experience to the acquisition, development, sale and leasing of commercial property. Melissa also handles lease financing, including synthetic leasing. 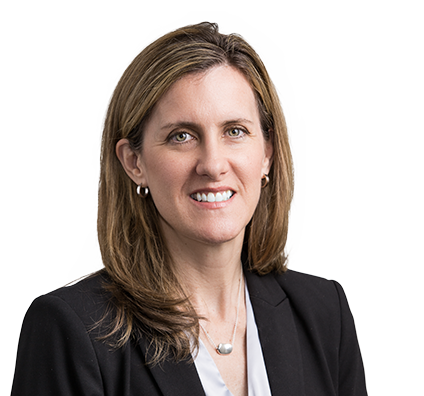 In telecommunications specifically, Melissa represents a wireless telecommunication carrier in acquisition, leasing and construction of transmission sites and retail stores. Melissa is the Co-Chair of Husch Blackwell's Corporate Real Estate group. Provides real estate legal counsel and coordinates the real estate portfolio for Jacobs Engineering Group Inc. (revenue $12 billion, Fortune 500 company) for more than 250 locations, including negotiating all leases; structuring business transactions; sale, acquisition and financing of owned properties; review of capital expenditures; management of real estate brokers; preparations and tracking of real estate metrics; and the relocation of their headquarters from Pasadena, CA to Dallas, TX. Provides nationwide real estate counsel for a Fortune 500 company that designs and manufactures medical devices. Counsels a pharmaceutical company on all of their real estate issues and has served in this role since 1999. Represents a Fortune 100 company subsidiary on all of their real estate issues and has served this role since 2004. Advises a publicly-traded restaurant/retail client with respect to all of their more than 500 current locations. Negotiated the lease of five buildings in a headquarters campus and handled the purchase of an additional sixth building. Provided real estate counsel for the lease of a new headquarters location in the New Jersey market. Negotiated an office consolidation of more than 100,000 square feet of space in Philadelphia, PA. Negotiated and provided real estate counsel for the sale of a 94-acre industrial facility. Represented a client with respect to a new headquarters located in Europe. Addressed 400,000 square feet of office space (which included excess space acquired in business acquisitions) by reorganizing the real estate portfolio in three markets, including the sale of property, downsizing leased space and relocating to more efficient space.